Elena Ferrante’s Those Who Leave and Those Who Stay: the third of the Neapolitan Novels, reviewed. 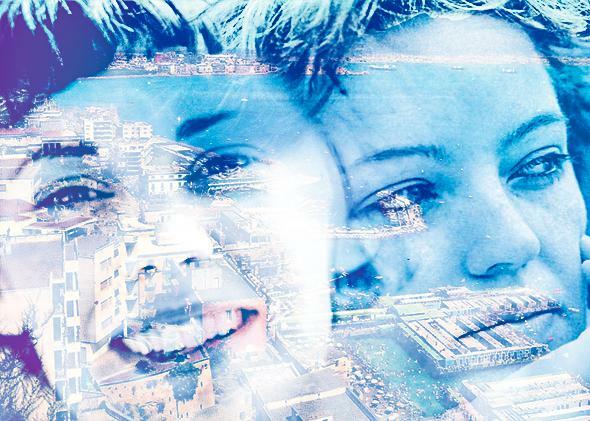 Elena Ferrante’s brilliant, riveting novels about female friendship. A mysterious Italian woman has written the best novels about female friendship. Each of Elena Ferrante’s “Neapolitan Novels” begins with a revelation. In the first, My Brilliant Friend, narrator Elena Greco learns that her lifelong companion, rival, and confidante, Rafaella “Lila” Cerullo, has disappeared. The story then plunges back 60 years to trace the beginnings of their relationship. In the sequel, The Story of a New Name, Lila entrusts Elena with a box containing her private journals—which Elena, at that point a budding writer in her late teens, mines for stories before throwing them off a bridge. How many who had been girls with us were no longer alive, had disappeared from the face of the earth because of illness, because their nervous systems had been unable to endure the sandpaper of torments, because their blood had been spilled. For Elena, Naples is mired in constant violence, with women too often its victims. Even the local dialect is a kind of hyper-masculine grotesque: “The coarse language of the environment we came from was useful for attack or self-defense, but, precisely because it was the language of violence, it hindered, rather than encouraging, intimate confidences.” And so Elena writes, both to establish some commensurate language for her own experiences, and to recapture the intimacy her upbringing has stolen. And yet, in Those Who Leave and Those Who Stay, the work of the novelist—especially l’écriture féminine—is dismissed as frivolous and bourgeois, at least compared to the activism and agitation of 1970s Italy. “In those circles that were so caught up and sucked in by political passions,” Elena claims, “my [first] book was considered an insignificant little thing.” But, gradually, she also discovers that writing the female body—the flesh made word—fosters its own form of resistance, especially when it challenges the patriarchy and provincialism of Naples. In many ways the friends are each other’s opposites. Lila is forthright, daring, a believer in absolutes; Elena is timid, pensive, and ambivalent. But together they form a “counter-melody” that links them inextricably. The two women recall Michel de Montaigne’s idea that true friends “mix and blend one into the other [in] so perfect a union that the seam which has joined them is effaced and disappears.” Montaigne was speaking sentimentally, though: There is no pure harmony here. Their fierce attachment—and equally fierce enmity—courses through the novels, even when, in adulthood, their relationship turns as parasitic as it was once symbiotic: Elena cribs her first book from a story Lila wrote as a child, and Lila’s jealousy descends into outright abuse. In most of her books, Ferrante strives to write the female body—especially its devastation and destruction. Those Who Leave and Those Who Stay doesn’t exactly abandon those concerns, but the focus turns from physicality to absence. Elena speaks of her literary ambitions as documenting “what seems unsayable and what we do not speak to ourselves”—essentially what she has failed to say to her closest friend and can only type now that she’s gone. The title suggests absolutes—Those Who Leave (Elena) and Those Who Stay (Lila)—but the subtitle, “Middle Time,” hints at something else. Like its narrator, the novel is less interested in obvious binaries—of language (Neapolitan/Italian), social geography (South/North), ideology (communist/fascist), gender, faith, and class—than in the mucky territory between. And so we have the book in our hands, this bildungsroman of that becoming, which finally discards its muse to explore the world beyond. At one point, Elena, who has been struggling to finish a second novel after the success of her first, shares a draft of a work-in-progress with Lila. Her friend is reluctant, then vindictive, saying “it’s an ugly, ugly book and the one before it was, too.” Elena is devastated. She fears that not only is her literary career finished, but their relationship might be ruined, too. She turns her thinking inward, and then, recognizing that she has suffered through two relationships that were, in essence, plays of male power, begins an essay about the ways that men have depicted women in literature, from the Bible through Flaubert. A draft is well received by her editors; it will be published—and, free from Lila’s influence, Elena falls in love. She seems to be entering some new chapter in her life, in which, at last, she will tell only of herself. Those Who Leave and Those Who Stay, by Elena Ferrante, translated by Ann Goldstein. Europa Editions.